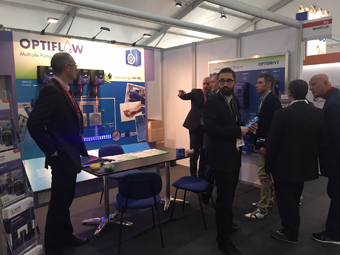 Invertek is showcasing its entire Optidrive range during Elettrica, a major show taking place in Novara, near Milan, Italy. Invertek Drives Italia Business Unit was first set up in 2014 and, in these two years, demand continues to increase demand for Invertek’s products and services in the Italian market, leading to the decision to attend Elletrica. On display on Stand 191 will be the whole range of variable frequency drives, including the third generation general purpose, Optidrive E3. Available in four frame sizes, Optidrive E3 offers the exceptional reliability, extreme ease of installation, precise motor control and world leading energy saving performance that Optidrive is renowned for, and is compatible with global supply voltages for motor control up to 22kW (30hp). Optidrive E3 also benefits from extended motor control to cover IE2, IE3 and IE4 permanent magnet and synchronous reluctance motors, and has been developed to ensure it is easy to use around the World. The stand will also host the expanded Eco range which provides seamless motor control for HVAC and Pump applications, as well as the Optidrive P2 AC drive with its advanced motor control capabilities. This popular range offers world leading control for IE2, IE3 and IE4 permanent magnet and standard induction motors – ensuring precise control for even the most demanding applications. Sales and Marketing Director, Rhydian Welson, says, “Invertek is now a major player in the global industrial automation market, selling products into more than 80 countries worldwide. We have committed to a number of world leading trade shows this year to ensure that as many industry professionals as possible have an opportunity to find out about our brand and products. “We are delighted to be attending Elettrica this year because our Italian market continues to grow and we are hoping to meet existing as well as potential new customers at the event,” he added. Elletrica is taking place from April 7 to 10 at the Sporting Village Novara.